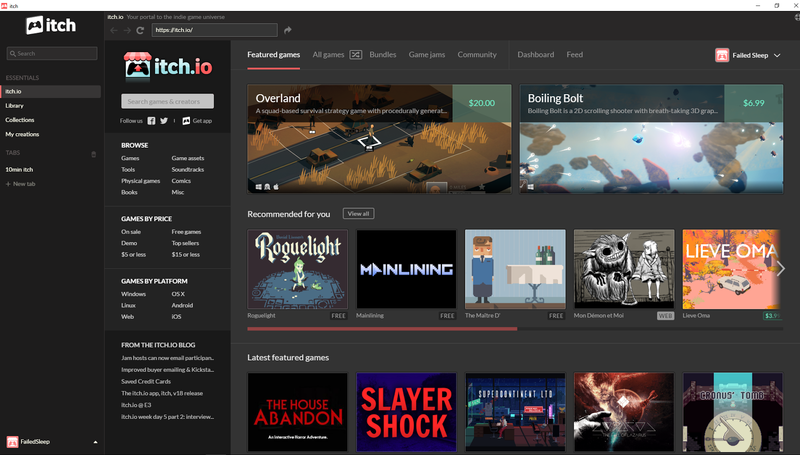 There are a lot of very interesting games created by enthusiastic programmers available on Itch.io. In this series, I am going to download different games from Itch.io, focusing on free games at the moment. I will be playing them for roughly 10 minutes each and the posting my opinion of the game on failedsleep.com, and posting the video to our YouTube channel.